Have a Passion to Create Games? Get the Knowledge You Need at an Art & Design School! Think you’ve got what it takes to design the next Game of the Year? 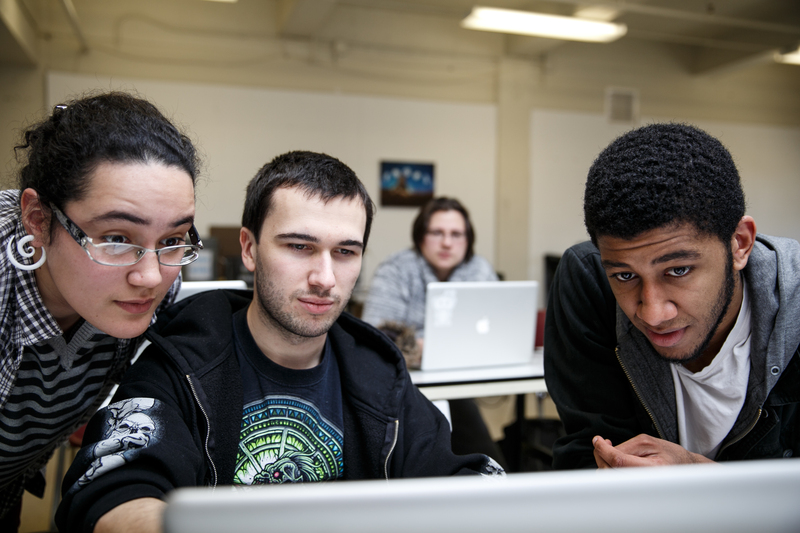 Art & design schools are developing more and more classes for students with a passion for video game design. And as the entertainment medium rises, so do mainstream courses and curriculums that focus on game art, direction and design. Game developers have brought us some truly groundbreaking experiences over the years, from The Legend of Zelda: Ocarina of Time to The Last of Us. But would you believe there’s only 15 years separating these two Game-of-the-Year recipients? The success of these games, of course, is due in part to the technological advancements we’ve made in recent years. Even though we have come a long way, there is an infinite sea of possibility yet to explore. In addition to advancing technology, the uptick in gaming culture can also be attributed to schools and universities that offer students a chance to study, and eventually work in these industries themselves. Companies are also progressively seeing the value of video games and are pouring increased marketing and development money towards projects to take advantage of the increasing market size. And as I’m sure you can see in your own communities, video game popularity has risen as a mainstream entertainment option, and the upward trend will only continue. So, with such a growing and competitive industry, how can you be sure you will secure a job right out of college? Concept Artists use their incredible imaginations to think up wondrous worlds and their inhabitants. Starting with rough sketches, forms are defined and refined, modified, and then polished up and handed off to 3D Character and Environment Artists to be brought to life. In the case of 2D games, the work of the Concept Artist may go directly into the game. Concept Artists also often create promotional artwork for packaging, marketing, etc. Character Artists create heroes, villains, creatures, player characters, and NPCs (non-player characters) that give life to game worlds and animated features. Working with ideas from Concept Artists, or their own imaginations, Character Artists start with a 3D sculpt, optimize shapes, paint skins and textures, and prep these creations for animation. Environment Artists are responsible for creating video game backgrounds and settings. In other words, the deserted towns, sky rise buildings and grassy Texas fields found in The Last of Us can all be attributed to the work of Environment Artists. They construct play spaces and sometimes entire worlds to fit game design specifications and work hand in hand with Level Designers and Art Directors to create just the right atmosphere for the ideal play experience. 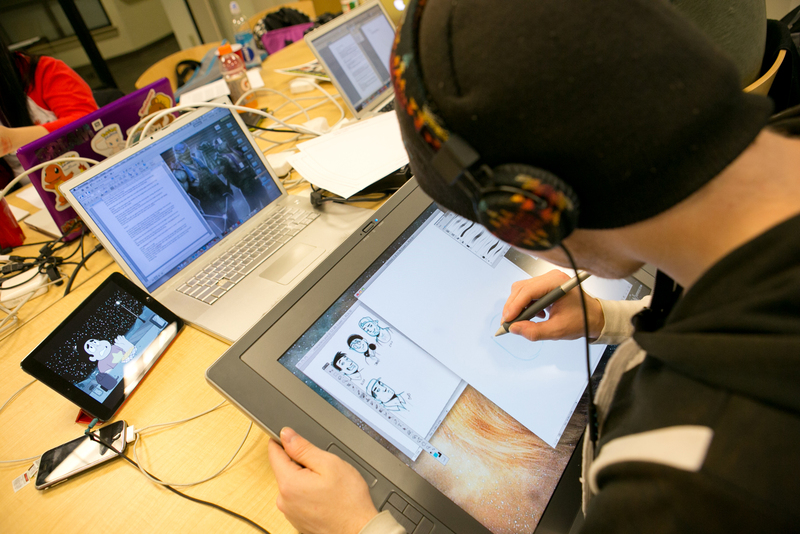 Animators combine art and technology to create interactive characters and environments. They create all kinds of action sequences including cut scenes, which are the short movies that play at various times throughout a game, player controlled action, such as running, jumping, and talking via characters, and atmospheric. The techniques for creating these animations start with an understanding of traditional animation and study of natural movement, then creating key poses and movements via 3D manipulation of characters, props and camera movements, and combining these with physics simulation, materials and lighting to bring the game to life. Texture Artists are dedicated to painting characters and environmental objects, a process also known as "skinning". From the grass on the hills to freckles on a nose, Texture Artists add the feel and richness to a 3D object or scene. Without textures, a 3D game would just be grey boxes. User Interface (UI) Artists combine the artistry of a painter with the visual communication skills of a graphic designer. They create the menus, buttons, and other 2D and 3D objects that players interact with. UI Artists also create the HUD (heads-up display) of a game, which includes things like health bars, active powers, scoring, maps, and other information needed to play. Many popular games like Words With Friends, 2048, and Cookie Clicker are nothing but UI. These six careers, along with many other diverse options, are all needed and constantly in demand within the gaming industry. In order to level up against the fierce competition, there are many skills and necessary training needed to be considered. What skills and training are needed to score a job in video game design? Geometry. When you add a third axis to a game, you really need to have a full grasp on basic math concepts when working on 3-D games. Modeling and animation software. Technology is constantly changing, therefore 3D artists and animators need to be able to teach themselves new features and techniques to stay up to date and consistent. Communication. Artists need to be able to communicate with other developers on what they are creating. Experience playing video games. No surprise here, but a knowledge of games will help keep art skills up to date, and a passion for playing games will assist in finding a job. 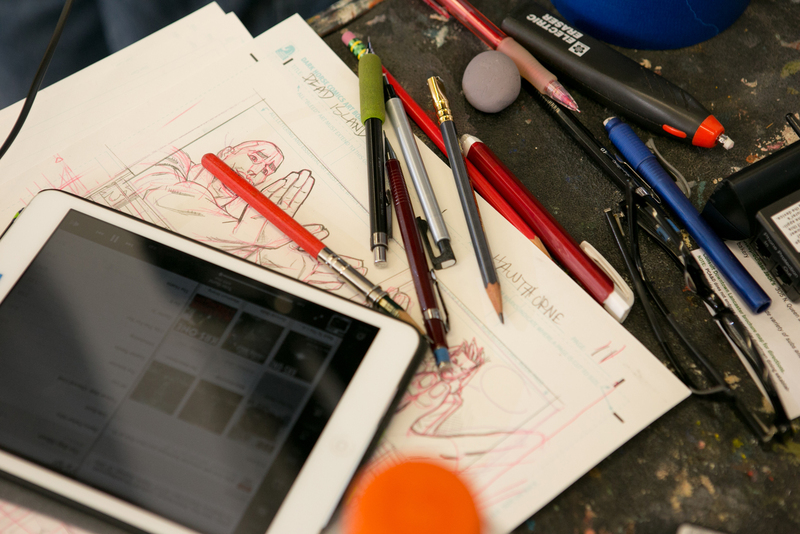 Scriptwriting, storyboarding and character design. This comes after mastering your drawing, design and color skills and is crucial in securing a position in the video game world. The perspective that comes with understanding the big picture increases an artist's value. The interactive nature of games makes them an amazing tool for communication, ideal for creating meaningful and memorable experiences. Games have moved beyond simple entertainment and have been shown to be an effective platform for education, inspiration and a positive social impact through programs such as Games for Good: http://www.seriousgamesassociation.com/games-for-good/ and Games for Change: http://www.gamesforchange.org/. Large companies have been tapping into this tool as well, with interactive job training and simulation. Another aspect in game design that is important to take note of when gathering your knowledge is its huge expansion into job training. According to the Entertainment Software Association, 70% of major employers in the U.S. use some form of gaming in their training programs. The military uses it to provide soldiers situational awareness, Cisco uses it to teach technicians how to build computer networks, and Homeland Security even uses this technique to simulate terrorist attacks. As companies all over the world turn to gaming to save money on training, the job market continues to grow in demand. More and more people today have access to games than they ever have before. 58% of Americans play video games, in some form or another. Even companies are increasingly seeing the value of video games! Between the vast array of game design careers, the necessary skills needed and even the expansion into job training, it is apparent that the possibility of scoring a job in this field is high if taken the appropriate steps are taken. If you have a passion in gaming, but you never thought of an art career, you should reconsider your career path and school choice! What other interesting careers can you do with an art degree? Click below to download your free guide: What Can You Do With An Art Degree?